Sammy was out helping out the Forgotten Children's Fund by passing out flyers in downtown Seattle on December 22nd and 23rd. The FCF was providing gift wrapping at Pacific Place Mall and Sammy was helping letting people know. Sammy had a great time getting the word out and getting pictures with his many fans. He was sporting his new buttons on his Santa outfit. Thanks to everyone that dontated time and money to the Forgotten Children's Fund! 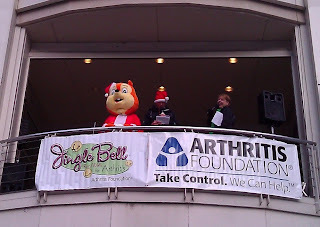 Sammy was out this chilly Sunday morning (12/11/2011) to walk the Jingle Bell 5k http://www.seattlejinglebellrun.org/. He was in costume as Santa Claus. 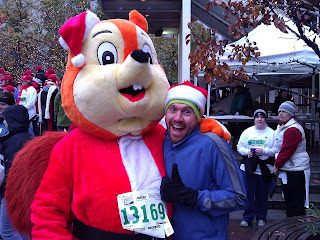 While it took him a little over 1 hour to walk the 5k he was able to share the time with lots of friends. Sammy also won 2nd place in the costume contest. 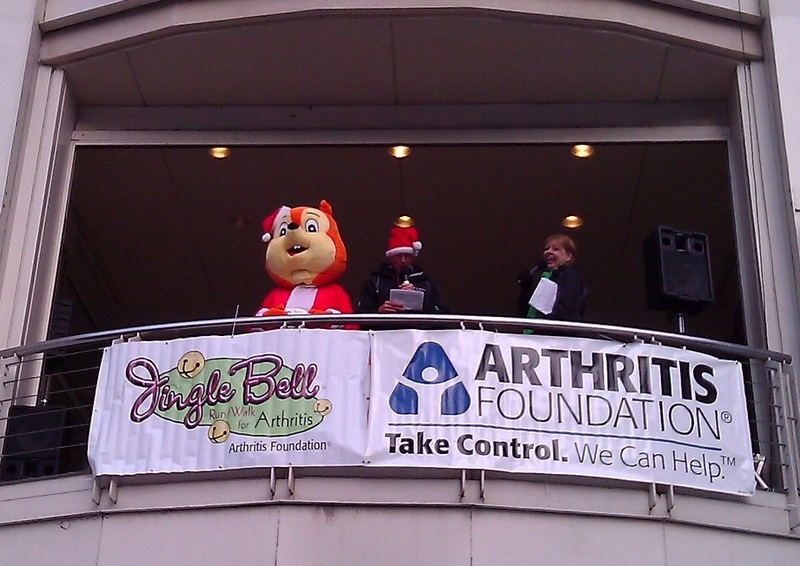 Here he was getting his prize and waving to his fans!